To be sure to give credit where credit is due, my friend Chef Jose Duarte at Taranta restaurant in Bostons North End introduced me to the world of QR codes a few months back. I was amazed by the capability of this new technology that I assumed was reserved for magazines to give you a discount coupon. But after hearing Chef Duartes pitch I was hooked ( no pun intended as you'll see). Then I was fortunate enough to team with Cleanfish inc. to develop what we believe was the first QR code used in the dining room during service when a guest ordered one of our Haddock dishes using Blackburns Dayboat Haddock. Over the past few weeks I have been experimenting with creating my own QR codes to share the story of 2 fisherman whom I have become friends with and they have been providing me with some of the best fish I have ever seen in my career. Literally hours out of the water, kept alive on board until they offload to bring to me the fish this is some of the freshest, high quality (and yes fished responsibly) product being sourced in the entire country in my opinion. But how to take this further was my thought? It is very easy to source locally and put on my menu "Rhode Island Fluke" but what about the story of when, where,how and who? How to share this information with my guests in a way that is keeping up with todays fast paced technology driven world? How to give my guests real time information that I am not afraid to share? Well this is where the QR code comes in. 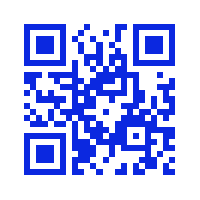 Scan the code and it takes you to a website designed to trace my fisherman's catch from the moment they catch is hauled. Captains Chris Brown & Steve Arnold upload the information ( who, when, where and how) and a fish ID is assigned to each species caught. Currently I am the only one being allowed to also track the fishermen whereabouts while they are fishing using a satellite monitoring device, again another trace and trust model that I am lucky enough to be piloting. No smoke and mirrors here, I am tracing this fish literally from water to table. I know that I am probably one of very few chefs if not the only chef right now that can claim to know the entire chain without actually fishing myself. We are currently experimenting with QR codes and fish IDs printed directly on the menu, I am torn by the decision to see guests using their phones in the dining room or not, but yesterday at our Earth Dinner where we honored our 2 VIP guests ( Capt. Chris Brown & Capt. Steve Arnold) was the first real experiment with providing a QR code and the fish ids directly on the menu....the response from our guests which included some notable foodies from Boston and a few international guests was overwhelmingly positive, so well see where to take this from here. 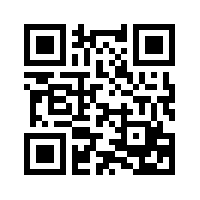 If you want to try scan the code at the top of this blog entry and use the following fish ID to get the information of the fish currently being served on my menu this weekend. Celebrate Earth Day 606 Congress! Together with Chefs Collaborative, Organic Valley and over 70 Restaurants across the country we are the city of Bostons official earth dinner participant! We are serving a 4 course Responsible Seafood Dinner perfectly paired with organic & bio dynamic wines I will personally select and a Westport Rivers Sparkling Wine reception were we will toast our VIP Guests and enjoy a few small bites using local fare.. We are fortunate to have Captains Chris Brown & Steve Arnold as our distingushed guests to talk about New England Ground Fish and what they are doing to help bring a select few chefs the freshest seafood around and save the ground fish fishing industry! They will also discuss the purpose of an inititive I'm very proud to be a part of called Trace & Trust, which is a website that allows guests to track where there seafood was caught, how it was caught and who caught it. The dinner will be held on April 22 at 7pm seats are $65(++) and also a portion of the proceeds will be donated to Chefs Collaborative. You will receive some take away materials to help you live a more earth friendly lifestyle and I"m also very excited to be able to write a menu that will be based on the catch that our the Fishing Vessels Proud Mary & Elizabeth Helen will be hauling hours before the event as well as what our local farms have available including items from Evas Garden, Cooks Valley Farm, Narragansett Creamery and more!!!!! So the menu will be a surprise but I assure you that you wont be disappointed. I am thrilled to be partnering with Chefs Collaborative & Organic Valley to make this dinner possible. Please visit http://www.chefscollaborative.org/ if your not in the Boston area to find an Earth Dinner near you as there are over 70 participating restaurants around the country. For Reservations please call 617.476.5606 . I look forward to hosting you for a local culinary adventure like no other you've experienced before. Space is limited to this special evening.